The first job on this list is one that I recently referenced in a post on 7 awesome online jobs from home that not only pays well but also can be started with absolutely no money whatsoever. The job I’m referencing is working online as a freelance writer. Freelance writing is one of the few jobs that you can do without having to spend any money whatsoever on additional equipment. Not only can you start working as a freelance writer without an investment, you can also earn around $10 per hour without any experience at all. There are many jobs that will allow you to enter the field and earn that much while you learn the ropes and hone your skills. The only thing that you will need to work as a freelance writer is a word processor and for some jobs and email client. Google offers both tools for free through Google Docs and Gmail. Even if you can only access the Internet with your cell phone, you can still work as a freelance writer by downloading the apps associated with those programs for free. While working as a freelance writer can often be a tedious and time-consuming endeavor, the rewards it offers are incredible when you consider the fact that it takes absolutely no investment or additional training to be able to start earning a decent income right out of the gate. If you’re interested in working as a freelance writer, you can check out these 7 awesome online jobs from home for a couple of great places to start your journey. Another great job that doesn’t require startup fees is working as a remote or telecommuting customer service specialist. These positions typically pay anywhere from $10-$20 per hour, and you can often find a job working with some of the biggest brands out there. Companies like Amazon, Bank of America, Frontier Communications and many others hire remote workers to provide customers with phone support. This allows them to greatly expand their potential workforce while saving money on call center locations. It’s one of the ways that many large businesses have been able to move customer service back to the United States and Canada after outsourcing the jobs overseas in the past. Best of all, many remote customer service positions include benefits like paid time off, health insurance benefit packages and retirement plans. Many people who start jobs working as remote customer service specialists say that it’s the best of both worlds as it allows them to have the perks of a traditional job while also being able to work from the comfort of home. You most likely already have everything you’ll need. The only things you must have available to you are a computer, a high-speed Internet connection, a quiet place to work and a headset so you can talk to customers. While just having those items will allow you to find some open positions, you can significantly increase the amount of potential jobs available to you by also having a dedicated landline phone. If you think you may be interested in working as a remote customer service specialist, you can find available openings on individual company human resource pages and some online job boards. Below are just a few places you can find remote customer service positions. Another job right in line with working as a remote telecommuting customer service specialist is working as a remote live chat customer service specialist. The only difference between this job and the one listed above is that live chat customer service specialists use typed out messages to provide customer support rather than the telephone. In recent years, there’s been a significant increase in the number of people who prefer to take advantage of online billing options and account access for a variety of different utilities, banking processes and other monthly accounts. On top of that, customers who prefer to shop online often prefer to interact with customer support through messaging applications rather than picking up the phone. Thanks to the shift in attitude among consumers, the need for people to provide customer service via live chat and text messaging has never been higher and you can often find many of these positions in the same places as you would find telecommuting customer service positions. Just like with telecommuting, you most likely have everything you need to get started already in your home. 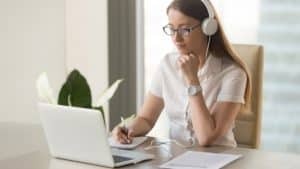 The only things that you must have to start working as a live chat customer service specialist are a computer, high-speed Internet access and the ability to meet minimum required typing speed that are typically around 60 to 80 words per minute. Many of these jobs also include additional parks like healthcare and retirement benefits, paid time off and a somewhat flexible schedule. The average pay for live chat positions typically ranges from $10 an hour to $18 an hour or higher, depending on experience. If you think working as a live chat customer service specialist would be a good fit for you, you can find available jobs in the same places that I referenced for telecommuting positions above. Is an Online Job the Right Fit for You? As you can see above, there are many different online jobs that you can get started with and don’t have to pay any startup fees. The problem is that many people who start looking for an online job do so because they need to have a flexible schedule but they also want to have additional income coming into the household. If you’re looking for the ability to work from home and have a flexible schedule, you may be very disappointed by what you find when searching for an online job. Even though many companies allow you to work from home, the shifts available to at-home workers are often the ones that call center employees don’t want to have or night shifts for companies that offer 24-hour customer support. Many times, it’s more expensive for the company to operate a call center and staff minimal employees overnight than it is for them to outsource their customer service to employees who are working from home. For people who are wanting to find flexible employment that will allow them to fulfill other obligations while still earning an income, an online job is not often the best option. If you’re wanting to have the most electable schedule possible that you can change depending on your needs, you may want to consider starting your own online business. While there is some investment, you can get started with your own business for less than $50 per month and potentially be earning a full-time income in 6 to 12 months. Best of all, you can work where you want, when you want and how frequently you want based on your income needs. If you’d like to learn more about how to get started with your own online business, take a moment to check out my top recommended resource. You can get started for free and once inside you’ll learn how to create and run a profitable online business that can generate a full-time income for you on a flexible schedule for years into the future. It looks like these are very legitimate avenues to take and they don’t really involve a lot of experience. I especially like that you not only mentioned the method but gave us places that we can go to to sign up and get started. Of the three methods, which do you think is the easiest to start right away? I think Freelance Writing is the fastest route as there is no application process and can start right away. Work from home is becoming a trend which is drawing a lot of global attention. This is partly because of lack of job security and employees need for freedom. I have been looking into this opportunities as well because, I’m really tired of my 9-5 job. I have been doing a little freelance writing on the platform of freelancer, and so far, the reward has not been overwhelming but, it’s worth the effort. I have not tried out the other ideas you put forward, I’ll set at the right away! Sharing is caring, thanks for caring! Have a look at upwork or join wealthy affiliate as it’s a great place to network and meet like minded individuals where you can brainstorm freelance writing. I’ve really enjoyed reading this article as you’ve provided us with tonnes of valuable information. I have a great interest in Freelance Writing, but I don’t know where to get started. Is there a specific platform where an individual can learn some writing skills in order to land in more jobs? Thanks in advance for answering my question. Keep up the good work Jay! In terms of skills on how to write, my 1st choice is Wealthy Affiliate as it provides a plethora of copywriting training. Thanks for sharing this article on 3 legitimate work from home job with no start up fee. This article is really informative and precise. I have never thought of any of the mentioned ways if working from home. I think I have found a way to make an extra income aside doing blogging job. Your article is really helpful. I have bookmarked your page. Thanks for sharing this article. That’s awesome to hear! Good luck on your new venture. 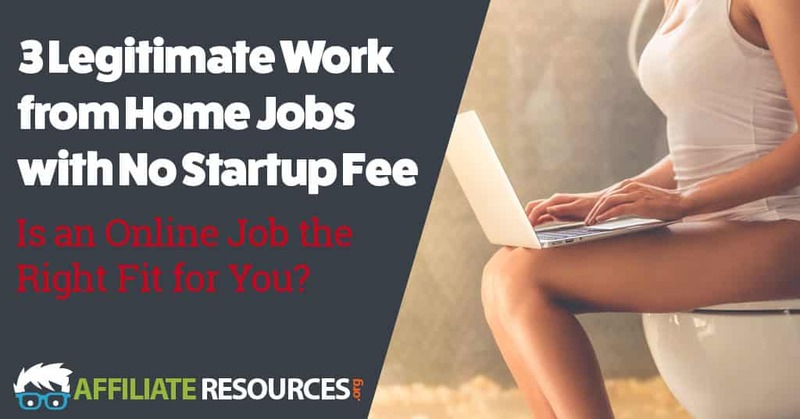 I love working online and I am happy to have come across your helpful article on 3 legitimate jobs to do from home without startup fees. I prefer the job of being a freelancer more than the rest, but out of curiosity or rather a need to know more, can I work as a telecommuting customer service provider from Africa? That is up to the employer who would be posting the jobs, as long as you can communicate in the language they are using, it should be fine. But again, this is up to the employer. I love writing freelance because it’s a job that anybody can do. You need no experience or degree whatsoever. Ashlee Anderson from Work From Home Happiness has left her secure job to pursue freelance writing without having any professional experience in writing. She currently earns full – time income from self – employment. Goes to show what hustle and perseverance can do! Great article about legitimate work from home jobs with no startup fees.This was such a helpful and informative post. I have been searching for the right online opportunities for months and you just served up about 8 great ideas for me. I am super interested in getting a job, right now like a freelance writer, VA Networker or a Zirtual. I would like to start making a small income by doing this and then start my own website using Wealthy Affiliate for an ongoing revenue income stream. Your article has really piqued my interest and I am going to do a little more investigation but I thank you for all of these really exciting leads. These are very cool jobs and that they don’t need any startup fee or a lot of additional equipments to get you going, makes it even cooler. The only downside I see with with freelance jobs is that they are not that easy to come by. And for the Customer Care and Live chat jobs, do you know if they are only open to Americans living in America? These jobs are as legitimate as it comes. With dedication, one can be on them while they start their online business and then wean off them when they business is doing well enough to cover all expenses and assure a comfortable life. If you promote and market yourself, then freelance jobs can come frequently. It’s all about networking and having a great post job followup sequence. For example, after a writing gig – ask for a review or give them a discount for every referral they bring in for you. Hi Jay, I just watched you webinar on WA and came to check out the article. Great Video by the way. My experience about 9-5 job made me to fell in love with work from home and in order to have more precious time for myself. The is another means of maximising my income with these highlighted 3 legitimate home job without start up fee.I would give this a trial with my affiliate marketing.I’m sharing this article with friends asap.all the best. This is an interesting and helpful post. Being a full-time blogger working from home your post means a lot to me and I can tell you I have taken some great insights from this post.  Indeed, freelance writing is an awesome way and I do write content for one UK company which is amazing but I only get to write one or two articles per month. Thanks for the information on Textbroker and I will give it a try for sure. I do have Freelancer account and I got few projects via freelancer without spending any money. Since I was in calling for 6 years (Customer service outbound calls – Sales) the remaining two telecommuting and live chat sounds a great opportunity but never thought of it, thanks for the helpful insights.